Kansas weather is about as fickle as Jona's tastebuds. One day I break out a sweater and fuzzy slippers, the next day I put on shorts. I'm not ready to commit to replace my sandals with ankle boots, but I can't escape that feeling in the air that makes me want to pick out all new clothes for back to school (despite the fact that I'm not actually going back to school). 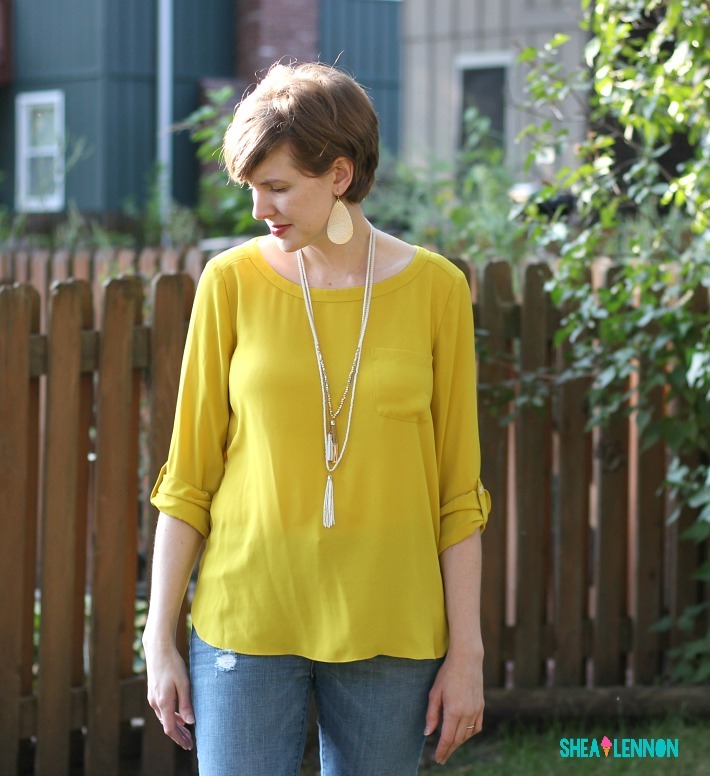 I find that lightweight long sleeved blouses, like this yellow Loft one from ThredUp, suit this time of year perfectly. The longer length is perfect for tucking into a skirt, but it also works untucked with jeans. 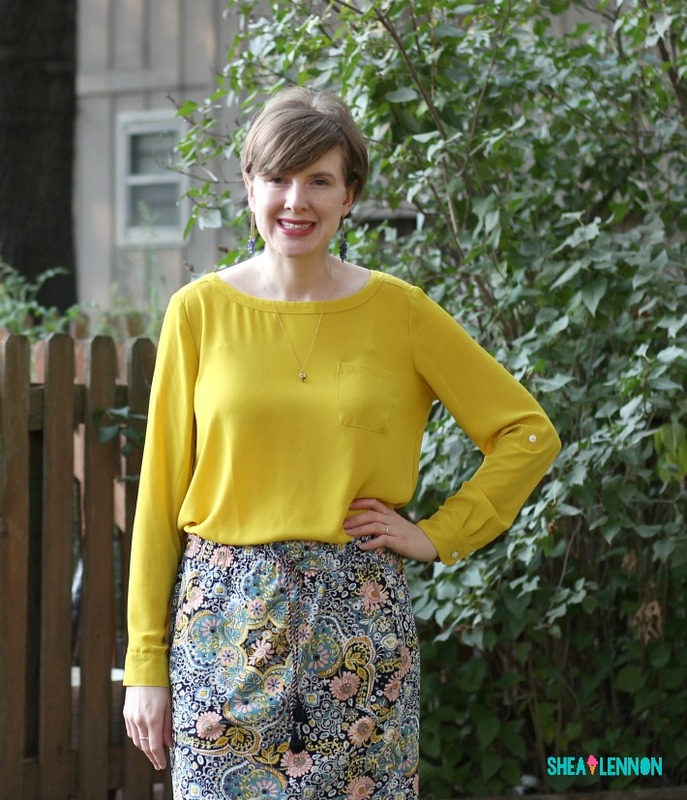 I also like how the mustard yellow color pairs well with bright summery prints, like this drawstring-waist skirt, yet at the same time it's a color that makes me think of fall, especially when paired with warm gold. 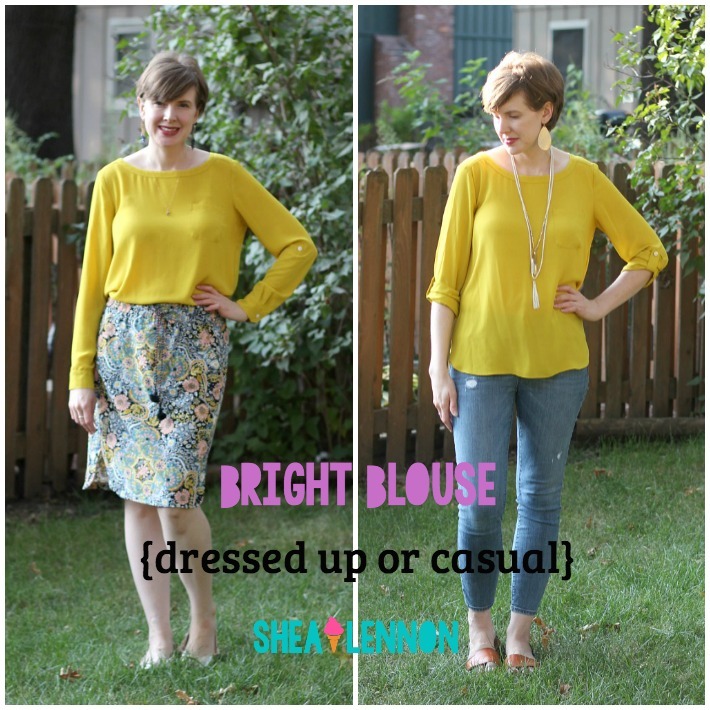 Here are two ways I've recently worn this blouse: dressed up a little for church, and more casually for weekend errands. What's your style solution for this in-between weather? 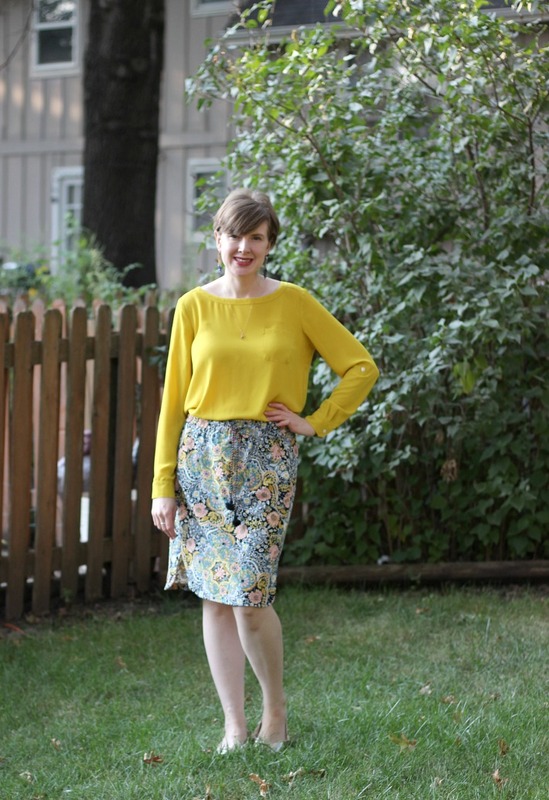 Linking with Confident Twosday, Oh Hey Girl, and On the Daily Style.